It’s the sort of announcement that will have the unions and hard-pressed regional hacks dropping their cornflakes this morning, but also one which reflects the global nature of the modern news industry. The American boss of some of our best-known local titles earned $12.4 million last year at the same time as those working in the UK saw lay-offs and a controversial move to a production centre in Wales. President and CEO of Gannett (Newsquest in the UK) Gracia Martore earned $12.4 million in total compensation in 2014, compared with $7.9 million in 2013. Her 2014 compensation package included a salary of $1 million, up from $900,000 and a bonus of $2.75 million, up from $2 million. She also received stock awards of nearly $4 million. The biggest increase was $4.5 million in a change in pension value and non-qualified deferred compensation earnings, up from $1.7 million in 2013. Victoria Harker, chief financial officer, earned $2.7 million, including a salary of $655,000. Her total compensation was up from $2.6 million in 2013. 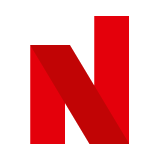 Its British publishing division, Newsquest, has more than 200 newspapers, magazines and trade publications. Its 17 paid-for dailies include the Northern Echo in Darlington and the Bradford Telegraph & Argus. At the end of 2014, Newsquest announced it was to merge the editorial operations of two of its Yorkshire titles: The Press in York and the Telegraph & Argus in Bradford. 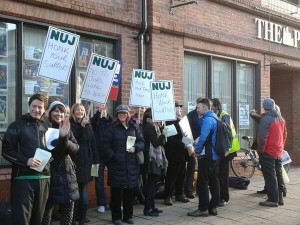 Last summer, NUJ-affiliated journalists on Newsquest’s North West titles went on strike over the company’s plans to introduce a centralised subbing hub in South Wales. The newspapers affected were the Warrington Guardian, Northwich Guardian, the Sale and Altrincham Messenger, the Wirral Globe, St Helens Star, Bolton News, Bolton Journal, Bury Journal, Bury Times and the Lancashire Telegraph. The action followed a day of strike action in York, Bradford and Darlington.